In a conversation with Maciej Drygas included in this issue, the Polish filmmaker explains that he has cut out the word "interview" from his personal dictionary. A lecturer at the National Film School in Łódź, he keeps telling his students: "Don't use the word interview. When you meet a person, meet them for a conversation, not an interview." What is crucial to remember when talking to someone, Drygas says, is "the ability to listen to them patiently." There is no script, there are no pre-formulated questions either, all one should do is take some time and "follow a person's history." Part film essay and part tribute to his friends, including Jonas Mekas, Peter Kubelka, Ken Jacobs and Robert Breer, Free Radicals is the result of Pip Chodorov’s personal journey through the history of avant-garde cinema in Europe and the USA. Since his first foray into filmmaking with a series of single-shot films in the late 1960s, Larry Gottheim has been a driving force in American avant-garde and experimental cinema. Over the course of 20-plus years, Sarah Pucill has created a mirroring universe, that probes the notion of identity and "the Other". In this interview, the artist discusses her new project surrounding French surrealist artist Claude Cahun. Considered one of the leading figures of media arts in post-war Japan, Takahiko Iimura has been exploring the conjunctions and the boundaries between film, video and digital platforms in a body of works that comprises screenings, installations and expanded projections. Wynn Chamberlain’s Brand X is an exuberant testament to both the playfully political approach of the underground and its interface with an increasingly voracious mass media. Following the 25th anniversary screening of Shoah at the Prince Charles Cinema, London, on 18 June 2011, Claude Lanzmann discussed his film in a Q&A with the audience, moderated by Libby Saxton. In his latest film, Nostalgia For The Light Patricio Guzmán continues his work around memory, yet taking his thoughts beyond the facts that are steeped in the history of his country as he relates them to the mysteries of life and the universe. When the Israeli government began to build the West Bank barrier through Emad Burnat’s village in 2005, the Palestinian farmer took his own course of action by filming the weekly demonstrations. On 20 December 2010, Iranian filmmaker Jafar Panahi was handed a six-year jail sentence and a 20-year ban on making or directing any movies, writing screenplays, giving any form of interview with Iranian or foreign media, as well as leaving the country. With his docu-essay The Anabasis Of May And Fusako Shigenobu, Masao Adachi And 27 Years Without Images as the nebulas, Eric Baudelaire has created an installation of photographs, drawings, newspaper clippings and paintings that surround the film for his first solo exhibition in the UK. With themes that are rooted in her home country's history and culture, Elka Nikolova made a number of short films before making her first feature length documentary film Binka: To Tell A Story About Silence, about the pioneering female director Binka Zhelyazkova. Even after the international success of his latest feature film Uncle Boonmee Who Can Recall His Past Lives, Apichatpong Weerasethakul sees himself confronted with the same problems as before when working outside the strict confines of the Thai film studio system, a system that hasn’t changed much for over a decade. Since its conception in 2008, New York's Light Industry has lit up the arts scene of Brooklyn with their weekly programmes of film and electronic arts, becoming a source of inspiration for its curatorial rigour, clarity in vision and slick delivery. Programme advisor on the Treasures from the Archive strand of the BFI London Film Festival, Clyde Jeavons is the former curator of the National Film and Television Archive at the British Film Institute. Adam Roberts's Remake is Georges Franju's horror classic Eyes Without A Face stripped down to the essence of its haunting narrative structure. However, instead of reverting to the French original, Roberts reshoots scene for scene Anton Giulio Majano's Seddok, l'erede di Satana. 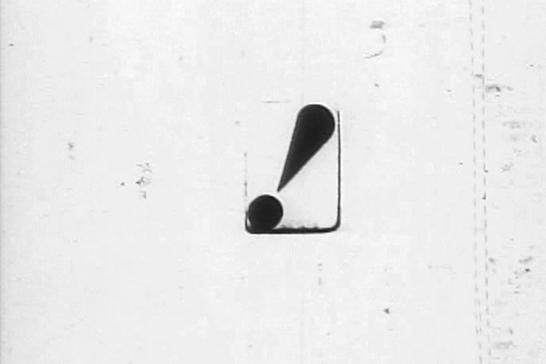 In November 2009, Close-Up hosted a screening of a selection of Guy Sherwin's silent films from his Short Film Series. Sherwin joined the event to presents his astonishing live performance piece Man With Mirror, where he uses a mirror to interact with a projection of a film of himself.